Trained medical doctor, Dr. med. 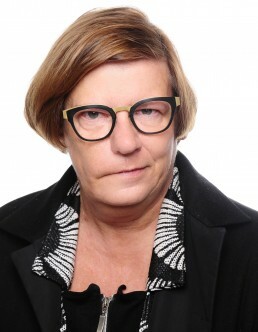 Anne Thews, MD, severed as Medical Director of Curetis GmbH, a molecular diagnostic company, being in charge of its’ clinical development program. As a Curetis’ co-founder, member of the Curetis’ Core Management Team and Global Marketing Director, Anne played a pivotal role in establishing Curetis including successful fund raising of over € 50 Mio and finally an IPO in November 2015. Before joining Curetis, Anne worked as Marketing Manager at Philips Medical Systems’ Molecular Healthcare New Venture Business. Prior to that, she held leading international managerial positions in marketing and sales for an immunology product line at Beckman Coulter, as well was manager in charge of a clinical diagnostics laboratory for many years at the University Hospital Mainz, Germany. Anne has achieved an impressive track record during the past 20 years both in strategic and tactical clinical, as well life-science oriented marketing: Anne’s proven significant expertise spans from product design, product launch and product life cycle management to developing and implementing business plans, go-to-market strategies and market access programs in existing and newly established companies. She has also demonstrated a strong medical affairs know-how by driving clinical development strategies, conducting > 30 clinical trials and building global networks of medical institutions, clinical societies, IVD and pharmaceutical companies, NPOs, industrial organizations, consulting companies, investors and distributors. Her combined professional experience in marketing, sales and medical affairs, her in-depth understanding of the global IVD and life-science market and as a trained medical doctor make her a valuable asset to Silversky.